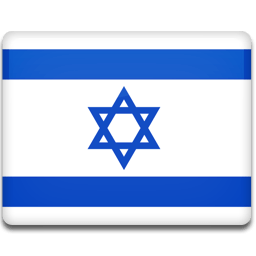 The Israeli “Jewish Nation State” Bill: Is The Controversy Justified? Cross-posted from Letters Blogatory: I thought this might be of wider interest. I want to veer off-topic to discuss the recent proposal in Israel to declare the state to be the nation-state of the Jewish people. The “Jewish Nation State” proposal has gotten a lot of attention from lawyers and others. It may be a good idea and it may be a bad idea (Israeli citizens are fiercely debating it in the press and in the Knesset), but what I am trying to understand is why it is a controversial idea in principle in light of the self-definition of most states in the region as Arab nation-states (except maybe Iraq, which has a Kurdish region and whose constitution shows American influence, and Iran, which of course is not an Arab state). Palestine. “Palestine is part of the larger Arab world, and the Palestinian people are part of the Arab nation. Arab unity is an objective that the Palestinian people shall work to achieve.” (Palestine 2003 Amended Basic Law art. 1). Egypt. “The Arab Republic of Egypt is a sovereign, united, indivisible State, where no part may be given up, having a democratic republican system that is based on citizenship and rule of law. The Egyptian people are part of the Arab nation seeking to enhance its integration and unity. Egypt is part of the Islamic world, belongs to the African continent, cherishes its Asian dimension, and contributes to building human civilization. Islam is the religion of the State and Arabic is its official language. The principles of Islamic Sharia are the main source of legislation.” (Egypt Const. art. 1-2). Lebanon. “Lebanon is a sovereign, free, and independent country. It is a final homeland for all its citizens. It is unified in its territory, people, and institutions within the boundaries defined in this constitution and recognized internationally. Lebanon is Arab in its identity and in its affiliation. It is a founding and active member of the League of Arab States and abides by its pacts and covenants.” (Lebanon Const., preamble). Syria. “The Syrian Arab Republic is a democratic, popular, socialist and sovereign state. No part of its territory can be ceded. Syria is a member of the Union of the Arab Republics. The Syrian Arab region is a part of the Arab homeland. The people in the Syrian Arab region are a part of the Arab nation. They work and struggle to achieve the Arab nation’s comprehensive unity.” (Syria Const. art. 1). Jordan. “The Hashemite Kingdom of Jordan is an independent sovereign Arab State. It is indivisible and inalienable and no part of it may be ceded. The people of Jordan form a part of the Arab nation, and its system of government is parliamentary with a hereditary monarchy. Islam is the religion of the State and Arabic is its official language.” (Jordan Const. art. 1-2). Saudi Arabia. “The Kingdom of Saudi Arabia is a sovereign Arab Islamic state with Islam as its religion; God’s Book and the Sunnah of His Prophet, God’s prayers and peace be upon him, are its constitution, Arabic is its language and Riyadh is its capital.” (Saudi Arabia Const. art. 1). Kuwait. “Kuwait is an Arab State, independent and fully sovereign. Neither its sovereignty nor any part of its territory may be relinquished. The people of Kuwait is a part of the Arab Nation.” (Kuwait Const. art. 1). United Arab Emirates. “The Union is a part of the Great Arab Nation, to which it is bound by the ties of religion, language, history and common destiny. The people of the Union are one people, and one part of the Arab Nation.” (UAE Const. art. 6). Yemen. “The Republic of Yemen is an Arab, Islamic and independent sovereign state whose integrity is inviolable, and no part of which may be ceded. The people of Yemen are part of the Arab and Islamic Nation”. (Yemen Const. art. 1). Oman. “The Sultanate of Oman is an Arab, Islamic, Independent State with full sovereignty and Muscat is its Capital.” (Oman Const. art. 1). Qatar. “Qatar is an independent sovereign Arab State. Its religion is Islam and Shari’a law shall be a main source of its legislations. Its political system is democratic. The Arabic Language shall be its official language. The people of Qatar are a part of the Arab nation.” (Qatar Const. art. 1). Now, of course the borders within which the Jewish state should exist are disputed, and the treatment of ethnic and religious minorities in Israel is a pressing issue, as is the treatment of minorities in many Arab states (and one may ask, of course, about the absence of Jewish communities in many of those states and ask why the Jewish communities there are absent). But why is the idea of a Jewish nation-state remotely controversial, in a region dominated by self-defined Arab nation-states? Is the real objection to it fear about the reaction it will spark, rightly or wrongly, among Israel’s neighbors rather than any more principled objection? That is how it appears to me, anyway. My own view is there should be a single Palestine with devolved powers to the West Bank and Gaza Strip, but only Israel proper would be officially Jewish. The example of precedent would be the UK wherein Israel is like England and West Bank and Gaza like Scotland and Wales. I think you’re right that Jewish Israelis have thought of their country as the Jewish state. So one of the main critiques of the bill to my mind is that there’s no need for it. I disagree with you about the “single-state solution,” but that’s a whole nother discussion! Noah Feldman, a great legal scholar and author from Harvard Law, offers up a compelling argument against adopting this in the National Post. He rightly says that the nations to compare Israel to, are other liberal democratic governments in the region, which in this case only includes Tunisia. Like Israel, it already has an allusion to ethnic and religious statehood in it’s existing constitution, but also keeps democracy and commitments to equality paramount and on equal footing. He argues this bill elevates the commitment to a Jewish homeland above the commitment to democracy. None of the states you listed above are democratic, nearly all are authoritarian, many are anti-woman, and many have strong Islamist inklings or factions that seek to have a religiously mandated and dominate government. None should be cited as worthy models for Israel to emulate in my book. Yet the constitution-level commitment to democracy has been broadly taken to include a fundamental right of all Israelis to equal dignity and equal treatment before the law, regardless of religion or ethnicity. That commitment is absolutely fundamental to Israel’s credibility when it describes itself as a democracy and refutes allegations that it is guilty of discrimination or even apartheid. The draft basic law breaks the equation of “Jewish and democratic” by putting Israel’s Jewish identity at the forefront and relegating democracy to a secondary description of the form of government. It also makes Hebrew the only official language, demoting Arabic to having ‘special status’ but no longer being official. Once again, there’s nothing fundamentally undemocratic about declaring an official language that is spoken by a national majority — Tunisia, for example, makes Arabic its official tongue. The problem is that the aim of the law is evidently to derogate from Palestinian citizens’ equality by downgrading the status of the language they speak. A lot of this is symbolic and won’t have a major impact on any laws, but it certainly is not the right symbol to have at this time. When some MKs are openly calling for an end to Arab Israeli citizenship, others are calling for expulsion or annexation as valid peace proposals, this would be a massive step backward. A short term calculation to save Netenyahu’s troubled coalition at the expense of a long term agreement with moderate Palestinian leadership that could end this conflict once and for all. At a time of Israeli and Arab street violence towards one another in Jerusalem, escalating in the brutal axe attack and a retaliatory beating death in response, this is the last thing this region of the world needs. Therefore, the declaration not only determines the complete equality of social rights for all its citizens, but also religious, language, educational and cultural rights. The founding fathers of the state of Israel envisioned a state whose Jewish nature and democratic nature were as one. Moreover, “social and political equality” was for them in keeping with the vision of the prophets of Israel. For them, it was an obvious outcome of the Jewish vision rooted in the values of freedom, peace and justice. A secure and democratic Israel is a vital American interest, one I support even as many liberals and lefties find it difficult to continue doing so. But this bill would make Israel less secure and less democratic, and thus harm American and Israeli interests in the region. I hope it is defeated, I hope Netenyahu goes down to a center-left coalition in the next elections, and I hope we can get an agreement before Abbas dies or his faction is removed from power. The bill may, as you say, be “bad for Israel” in a variety of practical ways. Granted. But I’m asking a slightly different question, which is: in principle, should anyone be complaining about the mere fact that Israel may make explicit in its basic law its status as the Jewish nation-state? And more to the point, if in principle it’s problematic for Israel, then surely it’s problematic for the Arab states including Palestine, right? Yet no one suggests that they change their constitutions. I think your comment hits the nail on the head when you point out: “None of the states you listed above are democratic, nearly all are authoritarian, many are anti-woman, and many have strong Islamist inklings or factions that seek to have a religiously mandated and dominate government.” But how is that an excuse not to ask of them the same thing we ask of Israel, particularly when they are among those complaining about the proposed new Israeli law? In one way, the view you’re setting out could be seen as basically disrespectful of the Arab people—”their states are basket cases, there’s nothing to be gained by asking them to live up to good ideals.” I don’t think you mean it that way. But that’s what underlies some frustration among Israel advocates about double standards. to say nothing of how we have mistreated our own minority populations or how our most illegal and unjust settlement project is now home to the vast majority of our land area and population. And a Jewish democracy ought to be held to a double standard as well, precisely because it is within the very origins of modern Zionism-a homeland free from persecution and terror, a homeland welcoming to all ethnic groups, and a homeland founded on secular social democratic principles-that I weep for the extreme Jewish nationalism I see today. That leads to defacing Christian as well as Muslim property, or the burning of Muslim youth by fanatic Jewish young men. Bills like this empower that minority. Continuing to subsidize it ensures that it will become the majority at some point, dictating an imperial project that will require wars it is exempt from fighting in. The last one is the unfair double standard, the one where the media amplifies terrible things the Israeli government and military do while downplaying how utterly awful Hamas and even some mainstream Palestinian groups are, how anti-semetic they are at their core, and how little they respect their own people. This weeks Atlantic has a piece exploring and demolishing that double standard. I say the first two urge us to oppose this bill, and passing it will give in to those that perpetuate the third. I respect your Anglophilia Christopher, but this solution wouldn’t work in the Israeli-Palestinian conflict. For one thing, the Scots, English, and Welsh share a common language (Scottish Gaelic and Welsh are hardly spoken as the primary language by anyone in either region), a common Christian faith, and several hundred years of united rule. For another, there is no faction in Wales or Scotland that has actively waged an intermittent rocket and terror campaign against England for the last decade. No faction in Wales or Scotland committed to religious rule by a faith alien to England. No English settlers of a different religion grabbing large percentages of Welsh or Scottish land either, who would insist on keeping those lands English even if the rest of the regions give it up. Add to the fact that the Scots nearly voted themselves out of it, and the Welsh are considering a similar resolution, also demonstrates that this model doesn’t even work all that well for the UK. A slightly better parallel might be Northern Ireland, but even then, the English/Scottish settlers came over three hundred years ago and have helped assimilate and develop a distinct Northern Irish community, there is also not a strong support for Irish reunification from the South to the same degree that the Palestinian cause enjoys almost universal support from the world’s 1 billion Muslims. It’s really a unique situation without parallel in history. A state historically tied to a nomadic people that were exiled from it by several centuries of oppression, that nomadic people returning to their ancient homeland after enduring one of the worst war crimes in human history, and in doing so displacing people and occupying land in much the same way as a colonizer would creating acrimony with the inhabitants of the homeland they wanted. Arguably, especially today, the Jews have a strong reason to need a homeland of their own. For historical and practical purposes, it might as well be Israel, but what to do about the Palestinians who dream of reopening their grandfathers farm outside of Haifa? A dream so simultaneously potent and toxic that they are willing to kill themselves in order to kill the grandchildren of the Israeli who took it away? Israel has always had a contradiction at the heart of its being. A secular democracy meant to preserve and protect a persecuted people so that they could endure on land that was historically and traditionally held to be theirs. But to create such a state, it has displaced many Arabs in the process. There is a lot of bloodshed and blame to go around, but it seems to me bills like this and the unending settlement project make a final and just agreement that much harder to achieve. And it doesn’t help that the majority of Palestinians tend to side with the most violent, radical, and least redeemable faction of their side. The extremists on both sides cynically one up one another in depravity to shrink what’s left of the center. The term “Arab” does not imply a religious tradition. The term “Jewish” does. There are Arab Christians, Arab Muslims, even Arab Jews. There are, by construction, no “Jewish Christians” or “Jewish Muslims”. I think the world learned that embracing and endorsing a specific religious tradition is a TERRIBLE idea somewhere around 1791, when the Bill of Rights was adopted by United States. In my view, history since then — and very specifically, Israeli history — has confirmed the wisdom of that separation. I think that declaring Israel to be a “Jewish Nation State” guarantees that the endless world-wide violence involving Israel will continue forever. In my view, it also should blow the last pretenses of a “peaceful solution” to the Israeli/Palestinian conflict completely out of the water. I think the world needs fewer, rather than more, religious nation states. Well, all of the Arab states I noted in the post (except Lebanon) also say in their constitutions, in one form of words or another, that they are Islamic states. I could have presented this as a “Jewish state/Islamic state” issue instead of a “Jewish state/Arab state” issue (in which case I would have included Iran and Iraq and excluded Lebanon). Same issues, same concerns. Significantly, Iraq is not among your list. Iraq, under Saddam Hussein, was a secular state. The removal of Saddam Hussein was, in retrospect, a enormous blunder in terms of the long-term stability of the region. The proliferation of religious-based nation-states adds to the regional conflict. It seems to me that one can argue that ISIS is the natural consequence of both that proliferation and of the removal of Saddam Hussein. I agree that all of the Arab states you noted (except Lebanon) claim to be Islamic states. In my view, this agreement reinforces my argument. We are already well on our way to war against ISIS, and — by implication, the people of most of the nations you cite. This proposal ratchets UP the already extreme tension in the region and, by implication, the world. I think you misunderstand Israelis, most of whom are secular and non-religious. I think many or most would recoil from the notion that to be a “Jewish state” means to be a religious state. …that Orthodox Judaism was at least de facto if not de jure the state religion of Israel. At least with respect to weddings and marriage. I think that may be backwards. De jure, in the sense that most of the official rabbinate is ultra-orthodox, but not de facto, in the sense that most of the people are not religious. There is significant movement, by the way, on the question of whether more liberal rabbis should be given more authority. “Jewish,” maybe uniquely, implies both a religion and a nationality. There can be Christians and Muslims who are, by Jewish lights, Jews. There can very easily be Jewish Christians, which in fact all Christians were until St. Paul took it upon himself to spread the Gospel to the Gentiles. I even know a couple of people who consider themselves to be such. They celebrate Christmas and Easter as part of their faith, but Hannakuh and Passover as part of their ethnic heritage. Likewise it is certainly possible for an ethnic Jew to convert to Islam, but I don’t know how often that happens. There is no “Jewish” nationality, at least unless and until this proposal is adopted. There are “Semitic Peoples” that include many Jews. There are European Jews who are not semitic. I’m familiar with “Jews for Jesus” and some similar groups. I’m also familiar with the origins of the early Christian church. I suggest that neither is particularly germane to this discussion. The fact remains that the purpose of this proposal is declare the RELIGION of Judaism as the key factor in the definition of Israel. In my view, it is intended to be provocative — so much so that it strikes me as yet another attempt to torpedo any kind of sustainable peace with Israel’s neighbors. Most Jews in Israel are secular and non-religious, yet there is no question they are Jewish. In Israel, as in some Arab states (e.g., Egypt), each religious community sets its own rules on matters of personal status and the like. I understand the assertion (“Most Jews in Israel are secular and non-religious”). Still, the brand-new GE electric stove that my wife and I just bought a month ago has a “Shabbat mode” setting that replaces the digits in the oven readout with changing patterns of horizontal dashes. The manual carefully explains that this behavior is the result of extensive consultation with Israeli religious authorities, and that it can therefore be bought and used by Israelis. No matter how contorted the logic, the reality is that GE wants to sell this stove in Israel. Whatever the government and “most Jews” assert about the role of religion, the result is that GE and some group of people in Israel invested significant money in producing a product that conforms to what non-believers like me view as extraordinarily arcane and narrow religious beliefs. I don’t believe that GE would have invested in “Shabbat mode” if GE didn’t believe it was required in order to sell this stove in Israel. I sincerely doubt that there are enough observant Jews in America to make a business case for this feature. My bottom line remains that the proposal will only worsen and already terrible state of affairs in the Middle East. I doubt the manual means what it says. To put it another way: in Israel the state rabbinate is in charge of lots of religious matters including, for example, kashrut, but you can get a cheeseburger at an Israeli McDonald’s. The feature is in the stove. It cost money to put there. Other than enabling sales of the stove to Israel, is there another reason for the feature? I have no clue, nor do I care, what Israelis eat. My point is that the EFFECT of the current status (never mind the proposed change) is that GE invested in adding “Shabbat mode” to this new stove. If the official status of Judaism is to change at all in Israel, I think the role of Judaism in government and law should be ratcheted down, not up. Well, yes. Sales to observant Jews in America. Right? I’m surprised that there are enough of them to make it a viable product investment. Perhaps I picked a bad example. My point remains that ratcheting up religious passions in the Middle East strikes me as a supremely counterproductive idea. But will echo Tom’s assessment this will definitely provoke and make matters worse in the short term. That said, I disagree with the idea that Israel must become a secular state with its Jewish character removed. Even it’s name is a loaded term in that regard, so for Israel to continue to exist it must do so as a Jewish majority homeland. A Arab majority Homeland in the territories that are currently occupied that is stable , democratic, and fully independent is the only solution I see to this conflict. Palestinian violence is bred by Palestinian statelessness-Hamas and other religious extremists breed on that kind of discontent. I promise you-give Abbas a state and support for Hamas evaporates over night. Nearly every Gazan interviewed hates Israel and Hamas since they are tired of the endless war, I suspect most Israelis outside of the settlements feel the same way. The silent majority on both sides wants peace, knows the two state solution is the only way it happens, and knows that time is running out. I don’t suggest that Israel needs to “become a secular state”. I mean instead that in my view it can stay just the way it is (at least in this regard). I think this proposal is a provocative move intended to heighten religious tension, and should be dismissed. Your allusions to our Constitution above made me think you wanted references to Jewish identity removed in their constitution. But yes, the status quo affirmation works for me and this would alter it in purely symbolic ways, but ways that will have lasting consequences. Turns out Israel doesn’t have one, giving it an interesting, but unintended in terms of my earlier argument similarity to the UK. That’s how there can be such a thing as a Jewish atheist, and also explains how Jewish converts to Christianity or atheism were nevertheless targeted by Nazis for extermination, and Soviets for persecution. He is now calling for early elections. Labour wants to go in as an alliance with Lapi and Livni, hopefully it can work out, though I worry Bib’s bet that this empowers the right wing will be the likely result. I regard the bill as ‘controversial’ in the same way I regard as ‘controversial’ the perennial attempts to make English the ‘official’ (and only) language of the U.S.: it seeks to highlight an issue without, it seems, attempting redress to possible, or even purported, harms and might, in fact, introduce new harms. Saying that Canada has two official languages doesn’t get me excited about adopting an official language for the US. In addition, a more cynical person than myself might be tempted to see this as a precursor to Bibi Netanyahu’s capitulation on the long dreamt for ‘two state solution’ that would, a priori, provide for an ethnically streamlined post-partition Jewish state. Other persons, more naive than myself, might be tempted to think Jews, of all people, would be above such tactics… but maybe it turns out they’re only human, like the rest of us. So, why is it controversial? Because it’s a superficial response to a deep problem. Defining the identity of the State of Israel as the nation state of the Jewish people, and anchoring the values of the State of Israel as a Jewish and democratic state, in the spirit of the principles contained in the Declaration of the Establishment of the State of Israel. A. The land of Israel is the historic homeland of the Jewish people and the birthplace of the State of Israel. B. The State of Israel is the national home of the Jewish people, in which it fulfills its right to self-determination according to its cultural and historic heritage. C. The right to the fulfillment of national self-determination within the State of Israel is unique to the Jewish people. D. The State of Israel is a democratic state, established on the foundations of liberty, justice and peace in light of the vision of the prophets of Israel, and realizes the individual rights of all its citizens under law. B. The flag of the State is white, with two light-blue stripes near its edges and a light-blue Star of David in its center. C. The symbol of the State is the seven-armed candelabra, with olive branches on both its sides and the word “Israel” beneath. Every Jew has the right to immigrate to the land [Israel] and to receive the citizenship of the State of Israel under law. The State shall act to gather in the exiles of Israel and to strengthen the affinity between Israel and the Jewish communities of the Diaspora. The State shall act to give aid to members of the Jewish people who are in distress and captivity because of their Jewishness. A. The State shall act to preserve the cultural and historic heritage and tradition of the Jewish people, and to cultivate and foster them in Israel and the Diaspora. B. In all educational institutions serving the Jewish public in Israel the annals of the Jewish people, its heritage and tradition, shall be studied. C. The State shall act to enable all residents of Israel, without regard to religion, race or nationality, to act to preserve their culture, heritage, language and identity. A. Independence Day is the national holiday of the State. B. Memorial Day for the Fallen in Israel’s Wars and Holocaust and Heroism Remembrance Day are the official memorial days of the State. The established days of rest in the State of Israel are the Sabbath and the holidays of Israel, in which no employee shall be employed except under conditions set in law. Members of recognized [religious] groups shall be allowed to rest on their rest days and holidays. A. Jewish law shall serve as a source of inspiration for the Knesset. B. If a court faces a legal question that must be decided, and cannot find an answer in legislation, precedent or clear deduction, it shall decide the matter in light of the principles of liberty, justice, integrity and peace in the heritage of Israel. The holy places shall be secure from desecration, from any other harm, and from anything that may hinder free access of the religious to the places holy to them, or offend their sentiments toward those places. The rights in the Basic Law shall not be denied except in a law that accords with the values of the State of Israel, that is intended for a fitting purpose and to an extent no greater than necessary, or according to such a law under the explicit authority contained within it. This Basic Law shall not be changed except by a Basic Law passed by a majority of members of Knesset. Petr, one point I’m unclear about is why you think this law would affect the definition of “citizen of Israel” at all. … change my question from “what problem(s) does it solve?” to “What, exactly, does it do?” If it doesn’t affect the definition of citizenship what does it affect? And, If it doesn’t affect anything, why do it? I agree that the best criticism of the law is that it doesn’t serve a real practical purpose. My main issue is not whether it’s a good idea or a bad idea, but rather whether others have grounds for complaining about it, and in particular whether one could, in a principled way, complain about it while not complaining about similar statements in the laws of essentially all of the states who are most unhappy about the proposal. It polarizes and inflames tensions that do not require further inflammation, marginalizes and ostracizes Israeli citizens that are neither ethnically nor religiously Jewish, and therefore rallies the Israeli right wing for Bibi in the next election. I don’t say that is a particularly noble purpose, but it surely does serve a purpose. You could say it is meant to suss out the real chances for a two-state solution, a Jewish state and a Palestinian state living side by side in peace, or whatever the phraseology is. If merely saying that Israel is a Jewish state causes a massive freak-out, what hope is there for a two-state solution? I believe this is behind much of the Israeli right’s push on these sorts of issues (e.g., the demand that the Palestinians recognize Israel as a Jewish state). …hence my proposal outlined above for a single state. I could go into more about the flaws and impracticalities I see in the two-state solution, but I wasn’t sure people wanted this thread to go that direction. That’s an honest answer, and as I said earlier, I think that someone who doesn’t believe there should be a state of Israel at all can take that view. I think it’s probably sensible not to let this thread lead into that discussion, though as you may have guessed I think your view is profoundly wrong. It’s starting to sound as though you are perhaps advocating more strongly for this than your thread-starter suggests. If the proposal makes it more difficult to accomplish a two-state solution (and I think there are persuasive arguments here, including my own, that suggest that), and if the implication is that the alternative to a two-state solution is that Israel shouldn’t exist at all, then it sounds as though you’re arguing that this provocative and inflammatory proposal — that has NO substantive impact other than its incendiary effect — is a good thing. But perhaps I’m not reading this carefully enough. I actually don’t think the bill is a good idea, because I think the idea of a Jewish state is already there in, for example, Israel’s Declaration of Independence, and I think the “sussing out” idea I raised, while legitimate, may not be worth the expected unhappiness the bill might cause, for example, friendly Arab states and even the United States. …is a single state anchored by Israel, so I reject the idea that a single state has to mean no Israel. Would’ve been fine in 1948, before settlements, before bloodshed to get Israel to the 67′ lines, let alone the post-67′ lines . Before bloodshed by Palestinians to gain self determination for the their people. It’s two states or a permanent war. Any other outcome perpetuates the war. Israel’s right wing would oppose letting all the Palestinians in on an equal footing as citizens, the Palestinians would likely oppose any final agreement that doesn’t lead to full statehood and nationhood. Neither side has motive or incentives to settle for Puerto Rico status. I could see Jerusalem being jointly administered with the holy sites internationalized. That might be a good starting point. Israel doesn’t have a good record here, after all. Ignoring these questions or assuming there are no ulterior motives among many in power pushing this is a bad idea. Case in point: Avigdor Lieberman’s plans. As if the growing confrontation with the Bedouin were not enough, Foreign Minister Avigdor Lieberman has revived the idea of drawing the boundaries of a new Palestinian state in a way that Palestinian townships currently part of Israel would overnight become part of the new state, thereby stripping residents of their Israeli citizenship. This would be part of a land swap for settlement blocs that Israel wishes to keep. By the foreign minister’s reasoning, transferring this land and all of its Israeli citizens to a future Palestinian state would help ensure a large Jewish majority in Israel. Jewish people in these lands could remain Israeli, but it’s entirely possible Arabs with Israeli citizenship couldn’t… if Israel were defined strictly as a Jewish state. I’m sure many Arab citizens of Israel would want to remain a part of Israel even under a two-state solution — far more jobs available, no worries about having your neighborhood bombed by the Israeli army.